82 other birds have this item in their bag or wishlist! 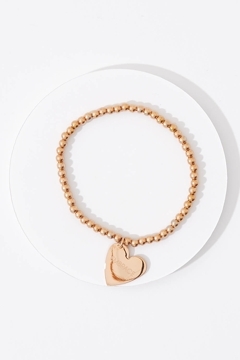 Look your best with the 4mm Ball Heart Embracelet from EMBRACE on your arm! This beautifully designed piece will look great on its own or paired with others. With a great message behind it, it will be hard not to embrace. I bought this as a gift for my sister and it came exactly as I expected and pictured. I lovely piece of jewellery for a great cause. I love the embrace movement and I brought this beautiful embracelet to remind myself I'm worth it.